I often scent the dojo with incense (Koh). My favorite koh is the “Morningstar” line by Nippon Kodo. http://www.nipponkodo.com It is well made using traditional methods, burns clean and with little smoke. If you visit their website (which I recommend you do), you will notice a page entitled the “Culture Of Incense.” On the page is an article “The Ten Virtues Of Koh.” Though I first read the ten virtues of koh over two decades ago, I still remember my very first impression, “Wow! The same ten virtues apply to Kata!” Over time I explored these virtues as they applied to both koh and kata, often enjoying both simultaneously (even using koh outdoors with my kata). With this Kata Lab, you may also explore the ten virtues of koh as they also apply to kata. So purchase your favorite koh, practice your kata and enjoy the journey. Note that the kata you choose to represent a specific virtue will change over time as your training continues, as you age, and other factors, so you should repeat this Kata Lab regularly. I categorized this Kata Lab as a spiritual lab as it forces you to think, sweat and experiment with your kata so as to understand how kata affects your psyche and emotions. That classification is an oversimplification. This lab also is a physical kata lab as it forces you to perform your kata to experience a new physical perspective. In addition, should you choose to follow my recommendations as to performing your kata using koh, the lab provides insight into the environmental aspect of kata; namely, how do the different aromas of koh affect your kata performance. Lab # 2242 – Kata With Koh: Purchase several aromas of koh. Prior to practice, experience each aroma. Now practice your kata after burning the koh. How does the aroma affect your kata? Do different aroma of koh affect your kata differently. Admittedly koh is pleasant, but each scent will still have a different effect. If not, then in lieu of the pleasant koh, perform your kata in a setting with unpleasant odors and see how they affect your kata. Lab # 3241 – Alternative experiment: Based upon my own practice, I now find that all ten virtues may be found in each and every kata simultaneously. Train your kata with the virtues in mind and try to find and perceive each virtue within every kata in your catalogue of kata. In the end, not only is this kata lab enlightening, it is also very enjoyable. For information on my “no-risk”, kata seminars, please visit the seminar page using this convenient link https://senseijohn.me/seminar-kata/ My seminars are the ONLY seminars that allow you to pay at the conclusion, thus insuring your complete satisfaction! If you enjoy this Kata Lab, please help fund future experiments Come visit my store on CafePress! 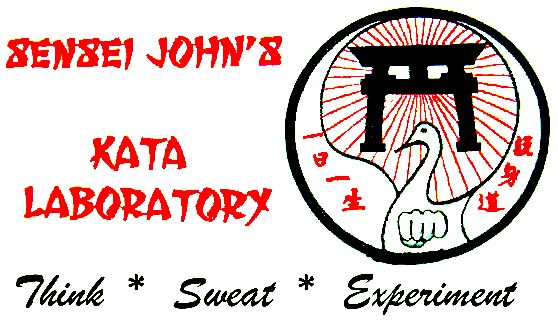 For the full Kata Laboratory Table Of Contents, please visit the “Kata Laboratory” page tab above. There are numerous karate-do techniques involving any number of striking surfaces with the hands, feet, knees, elbows, fingers and the like. These techniques are combined with any number of stances to form a posture. These postures are linked together in a cohesive manner to form sequences which are combined to form a unified pattern called kata. This is the physical aspect of kata. Bunkai (analysis) is used to understand the kata. The majority of practitioners limit their bunkai to the overt moves and sequences in kata. The transition from sequence-to-sequence, posture-to-posture that occur with a kata are often ignored in bunkai. This Kata Lab looks at the physical aspects of those transitional movements. To assist you in the process of this Kata Lab, I have a video after the procedural outline. Perform the kata full speed, once again, insert the hidden postures into the kata as if they were overt moves. Does the kata maintain it’s “flow” when performed in this manner? If so, then your identification of the hidden postures was accurate. Analyze the kata transitional positions with a partner, pay particular attention to your previous analysis to determine the extent to which the transitional postures enrich your application. The transitions should allow you to see new self-defense application possibilities. Including the transitional postures in your bunkai (analysis) of kata will enrich your understanding of the application of the physical movements. You will begin to see new possibilities. Better still you will see self-defense possibilities that those who do no analyze the transitions will be ignorant of. Thus, your arsenal of defensive possibilities surpasses theirs. Additionally, the understanding of the physical aspect of the transitional movements will begin to foster a desire to understand the transitional postures from a spiritual (psychological, emotional and stat-of-mind) aspect and a metaphysical (the manner in which the kata connects you to the environment) aspect. 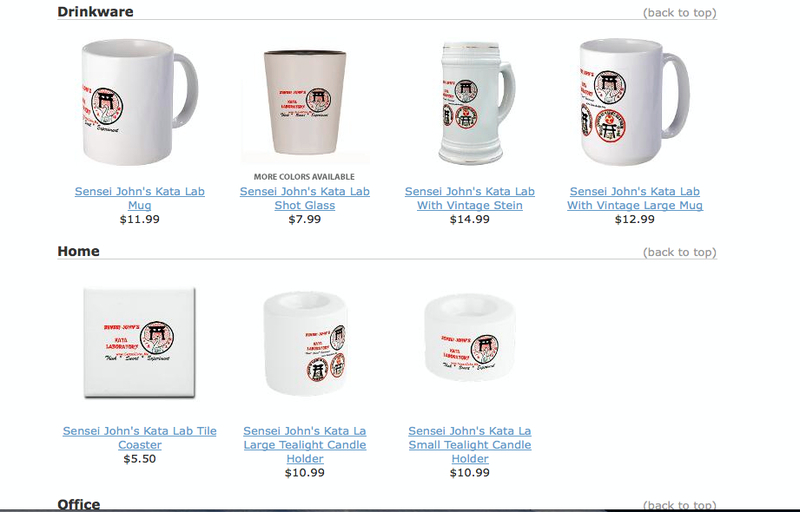 If you enjoyed this Kata Lab, please visit the online store to help fund more kata experiments. All too often, western karate-do curriculum teaches kata as separate and distinct from kumite. 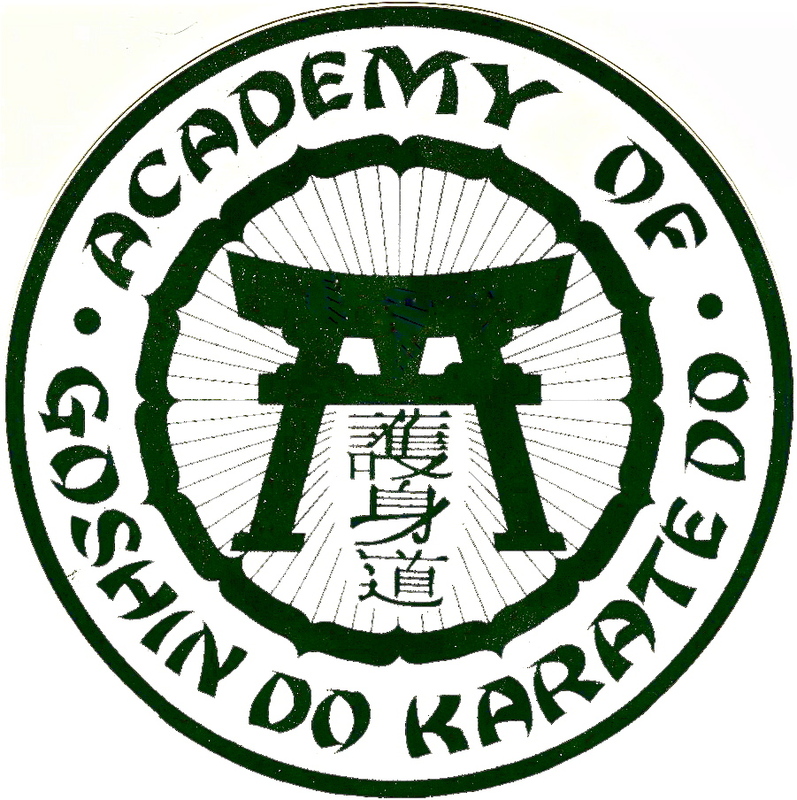 Many Dojo have segregated the two topics so that they are taught in separate training sessions. A typical example of a three day a week training schedule often goes something like this: Monday night: stretching, conditioning and drills, Wednesday night: kata night (which includes, basics, (possibly) physical bunkai and kata drills) and Friday night: kumite night, which includes jiyu-kumite, ippon kumite and kumite drills. Rarely, if ever, have I seen Dojo that integrate kata and kumite to the extent shown in this Kata Lab. Incidentally, this Lab was standard procedure at my Issho-Dojo where the idea of Kata-Kumte-Ichi was omnipresent. 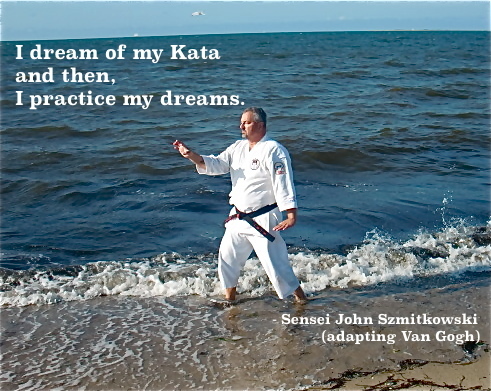 To integrate kata and kumite takes work, effort, frustration and dedication. The purpose of this Kata Lab is to provide a basic means to start the integration process. While basic, for the uninitiated, it will provide quite a challenge. If the reader applies determination and sweat, this Kata Lab will bear fruit. It will allow the practitioner to progress to the next levels of physical bunkai of kata beyond the ken of the majority of karate-ka. This Kata Lab is best performed with three people, two participants and one acting as a moderator. Naturally, all three should change roles throughout the Lab. 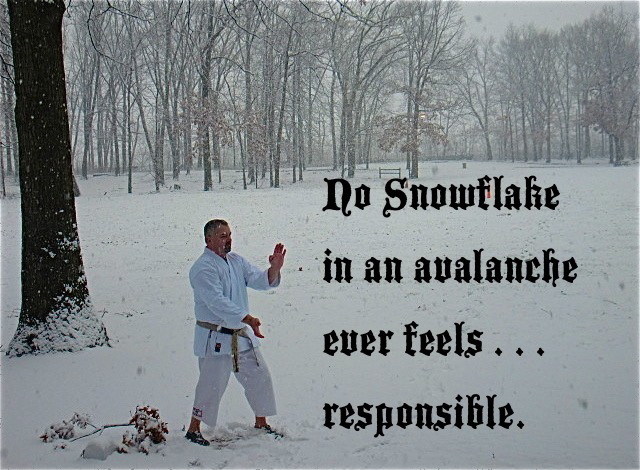 Therefore, while engaged in kumite, they performers must be mindful of their kata, specifically where they paused the performance for kumite. 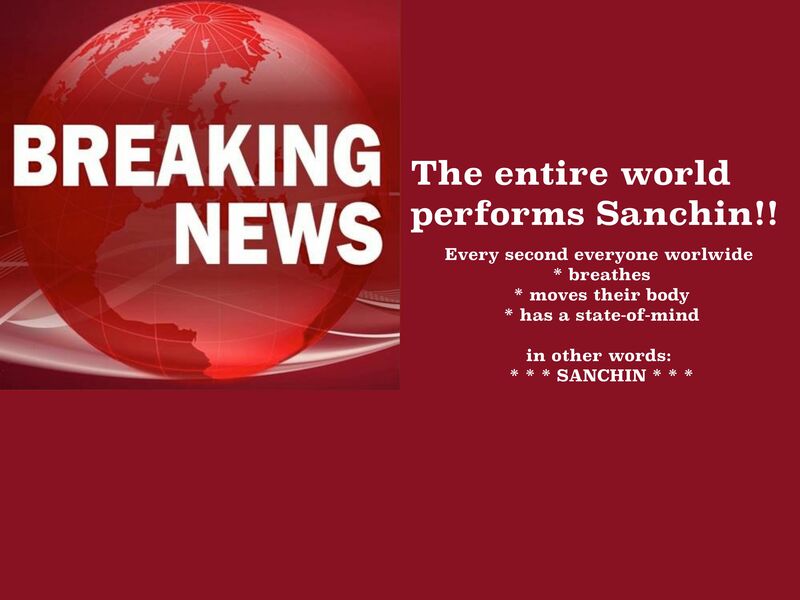 – as such, there is as much pressure on the moderator as the performer. 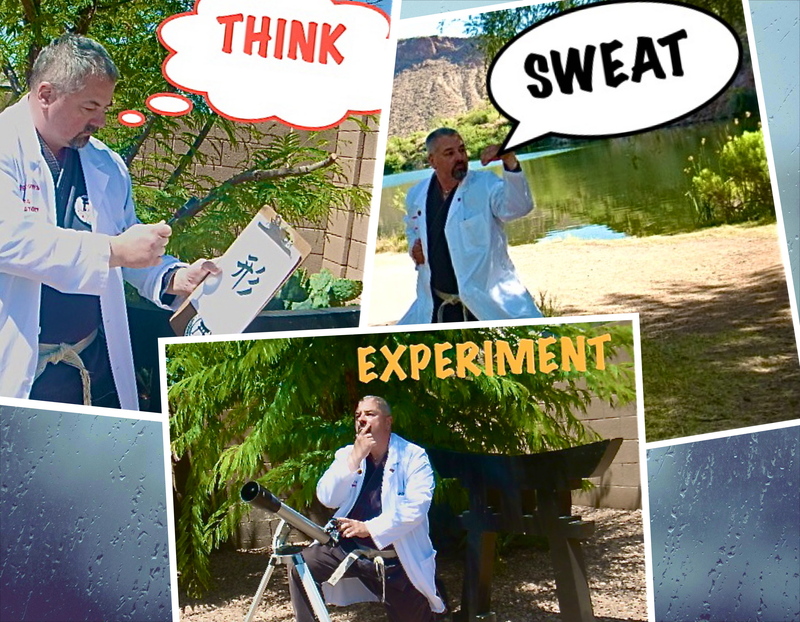 Here is a video I filmed at the spectacular Lower Salt River, Arizona which gives you the general idea of interrupting your kata. The video uses a “natural makiwara” in lieu of kumite, but the concept is the same. NOTE: you may notice that due to variations of the kata being performed and the random nature of the moderators command to engage in kumite, the performers may be some distance apart. This will be overcome in the future by combining this drill with my kata deconstruction technique. Do not adjust the kumite time, if the two performers can not either close the distance or figure out an alternative means to engage in kumite (hint) the fact that they could not adequately engage in kumite in the 30 to 45 seconds is their problem. This Kata Lab is a challenging means of integrating the idea of “Kata-Kumite Ichi”, Kata and kumite are one. When one is performing kata, one is engaging in kumite and vice-versa. 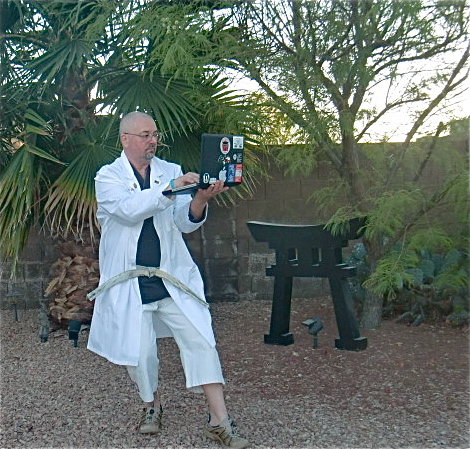 The Lab also provides a spring board for more difficult kata and kumite integration using my kata deconstruction techniques. Most importantly, the performers will be able to use techniques from kata in actual jiyu kumite. No more “Sparring combinations” that are not grounded in kata. Kata-Kumite Ichi. While physical bunkai (analysis) of kata greatly improve, spiritual or mental bunkai will begin to be fostered. The proper mindset for kata will begin to take root and grow within the performer. © Copyright 2006, 2013 & 2014 Issho Productions & John Szmitkowski, all rights reserved.